During the war, Japanese children were ordered to work for the war effort. Children became "mobilized students", serving the government. The inscription on the five-story tower narrates how the students sacrificed their springtime of school to work for their nation, though they were made to work year round. There were approximately 8,400 students involved in forced labor. 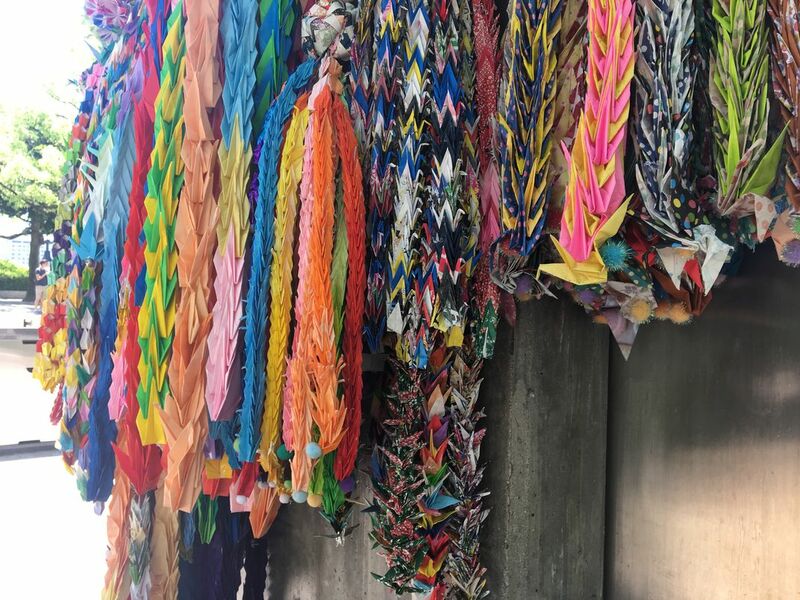 These paper cranes are at the memorial tower to mobilized students. Date Uploaded: Nov. 30, 2017, 7:53 p.m.